ThinkFirst For Youth is for students in grades four through eight - an important time to help students learn the importance of protecting themselves, as they are increasingly faced with decision-making challenges involving their safety. Anatomy lessons and classroom activities help students develop a practical understanding of their body's abilities, limitations and vulnerablilty for injuries. Exercises build communication and conflict resolution skills, increasing self confidence and the ability to make safe choices when on their own or in the face of peer pressure. Two separate curricula packed with lessons and handouts are available: one for grades four and five, and one for grades six through eight. Various levels of difficulty within each curriculum allow for flexibility in teaching students with different academic abilities and learning methods. Curricula include lessons on the brain and spinal cord, vehicle and pedestrian safety, bicycle and sports safety, water safety, creative problem solving, violence prevention, conflict resolution, and choking and suffocation hazards. Each lesson comes with fun, thought-provoking, hands-on activities, Message from "Dr. A," and resources for further information. A ThinkFirst assembly or classroom presentation offers compelling guest speakers to augment the curricula activities with first-hand testimony. Health educators utilize brain and spine models and other visuals in their discussion, followed by a ThinkFirst VIP speaker - Voices for Injury Prevention - who shares their personal story of how one decision changed their life forever. 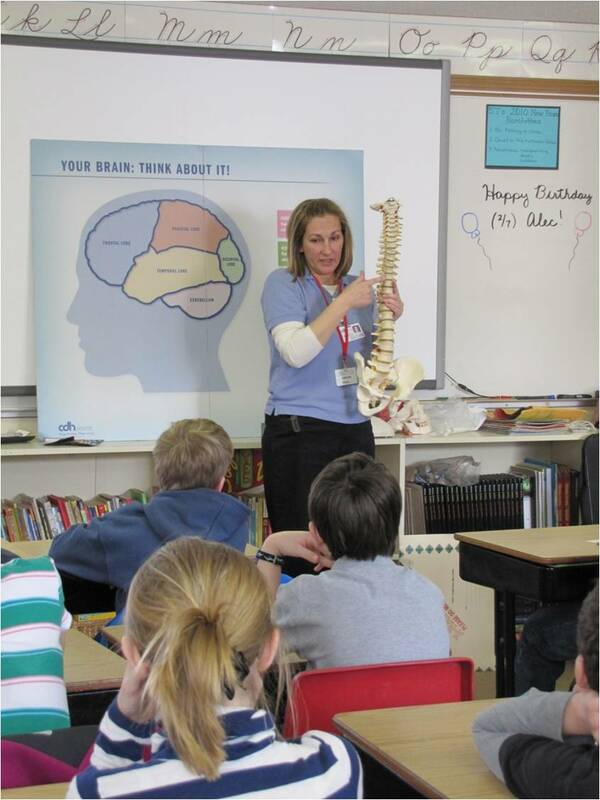 Students have the rare opportunity to hear from someone who has actually dealt with a brain or spinal cord injury, helping them to gain a better appreciation for the need to "use your mind to protect your body." Schools may schedule ThinkFirst presentations through a local ThinkFirst chapter; curricula is available to schools through our chapters or you may contact the ThinkFirst national office for information.